Endrik Wottrich was born in Celle, Lower Saxony. He was drawn to music at a young age and went on to study violin and voice at Würzburg University and voice at the Juilliard School, New York. He made his professional debut in 1992 as Cassio (Otello) in Wiesbaden, and the following year joined the ensemble of Berlin State Opera under Daniel Barenboim. The music of Richard Wagner was a pole star in Wottrich’s career, and he was a familiar presence at the Bayreuth Festival from his debut in 1996 as Young Sailor (Tristan und Isolde) through to his final performance at the festival in 2009, as Siegmund (Die Walküre). His many other roles at Bayreuth included Parsifal, Erik (Der fliegende Holländer), Walther von Stolzing and David (Die Meistersinger von Nürnberg) and Froh (Das Rheingold). Wottrich made his Royal Opera debut in 2007, singing Florestan in Jürgen Flimm’s production of Fidelio, conducted by Antonio Pappano and with Karita Mattila as Leonore. He reprised the role in The Royal Opera’s revival in 2011, this time performing with Nina Stemme and conducted by Mark Elder. Reviewing the 2011 revival for The Guardian, George Hall wrote how Wottrich ’matches [Stemme] note for note as a brave and accomplished Florestan’. 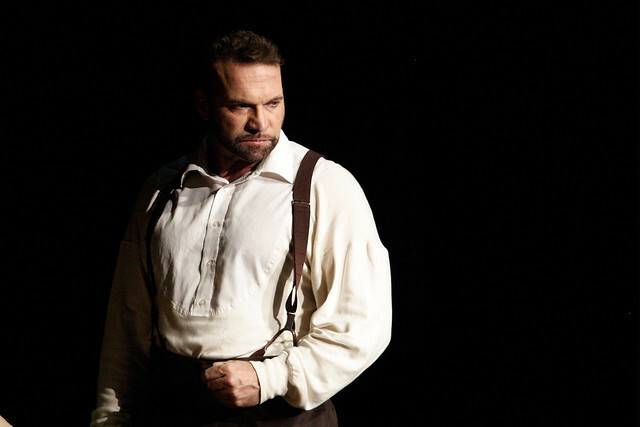 Wottrich returned to The Royal Opera later in 2011 to sing Erik in Tim Albery’s production of Der fliegende Holländer in a cast that included Egils Siliņš as the Dutchman and Anja Kampe as Senta, conducted by Jeffrey Tate. Wottrich was praised by Tim Ashley for The Guardian as ’a fine Erik’. Wottrich’s final role for The Royal Opera was singing the Drum Major in Wozzeck, a role which he described in an interview for WhatsOnStage as ‘a drunk, macho, vulgar He-Man and it’s fun… It’s challenging because it’s excessive’. Keith Warner’s production was conducted by Mark Elder with Simon Keenlyside in the title role and the cast including Mattila, Gerhard Siegel and John Tomlinson – Richard Fairman wrote for the Financial Times that ‘Siegel and Wottrich are an ideally well-contrasted pair of tenors as the Captain and the Drum-Major’. Wottrich’s rich career saw his perform with leading international companies, his engagements including Tannhäuser for La Scala, Milan, Siegmund for Semperoper Dresden, Lohengrin in Wiesbaden and Tampere and Samson (Samson et Dalila) in Sofia, Montreal and Mannheim. His recordings include singing Max on Nikolaus Harnoncourt’s acclaimed recording of Der Freischütz with the Berlin Philharmonic. Thank you for this beautifully written article. Sad news. I remember him, not only for his appearances at Covent Garden, but for a thrilling Siegfried at Bayreuth in 2006. We have lost him too soon. Sorry - I meant Siegmund, not Siegfried. This sad news absolutely stunned me. Endrik wottrich was a very special artist,and even more so a very good person. He did not like to comptomise,was always on the search of honesty,loyality,integrity,which made hispath not easy to walk on. I was lucky to have him as a close friend for nearly a decade..
We helped each other out,battled the one or the other crisis.i am glad that I witnessed his immaculate performance in Leipzig as "Arindal"(a hellish part to sing),and as well in "La Wally" in Vienna. He does not have to fight anymore.